Look out for the Welcome letter sent home on Friday. This included a copy of our Dunbury Vision and the new Home School Agreement. 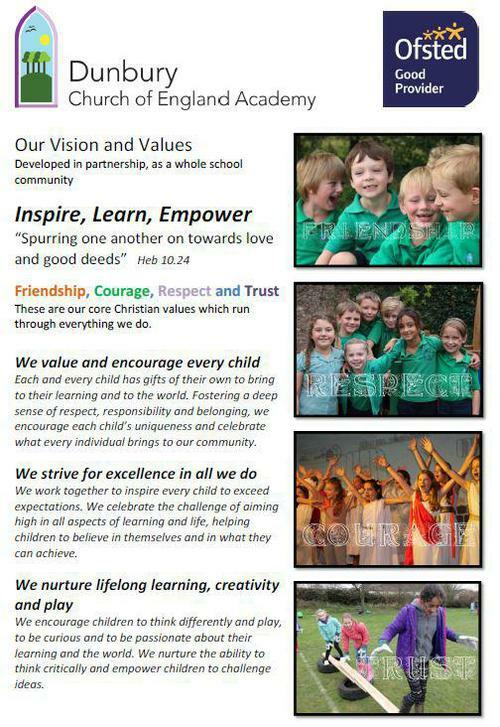 A copy of these documents can be found in the For parents/Whole School Letters section of the website.